Restored 100 year old 2brm cottage. Fully self-contained in rural hastings. Enjoy a quiet getaway in the country on a small truffiere and hazelnut orchard. Sky tv and free wi-fi included. Relocated from a neighbouring farm, this 100 year old once derelict cottage has been lovingly restored. Located on our property yet still private Matehaere cottage makes a Fabulous base for a Hawkes Bay holiday. Wake to the sound of birdsong in the mornings and relax on the deck while you choose from the many activities, concerts and events Hawkes Bay has to offer. Great for couples, friends or family. Full kitchen facilities, dishwasher, fan oven, gas hob, microwave etc. French doors open onto private deck with Bbq. 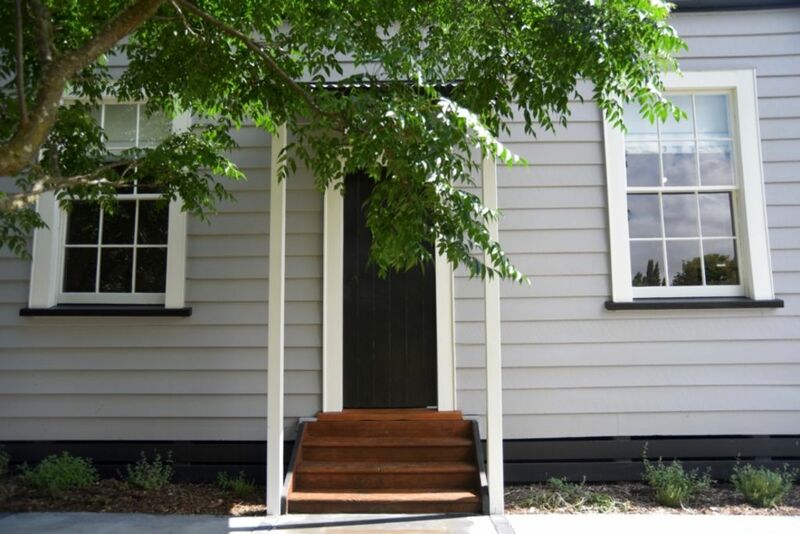 Very clean, tidy, and pretty cottage in the Hawke's Bay countryside. Friendly, accommodating owners. Highly recommended. Lovely guests, great communication, left the cottage nice and tidy. Would welcome back and recommend to all. A very beautiful and charming cottage. There were fresh flowers and eggs when we arrived and our children had gotten a small toy each on their beds. The owner was very friendly and helpful. We felt very welcomed and had a really nice stay. Would love to come back. Really enjoyed staying here, had everything we needed and gorgeous country setting. Would love to come back soon. Such a beautiful cottage, in a fantastic location. Great hosts and well appointed. Beautiful, well appointed cottage in a fantastic relaxing location. Close to wineries and short drive to Hastings and Havelock North for essentials. Also lovely to have some fresh farm eggs on arrival from the friendly chickens. We’ll definitely come back and look forward to exploring more of the beautiful Hawke’s Bay and relaxing in this gorgeous cottage. A totally amazing property - idyllic, peaceful but also very conveniently located. We had the most wonderful time - the property is incredible and the perfect place to relax. The welcome was warm and we will be back! A delightful and respectful family who were a pleasure to host. Would be most welcome to return. The property was a renovated farm cottage. The property was a renovated farm cottage. It was done to a high standard and had everything that was needed for a pleasant stay.